Bored with your healthy meals? Me: “Wait, you could eat pizza for every meal, yet you are bored with the “healthy” meals you have been eating?”…..
Hmmm….no response to that one. What it comes down to, is people do not get bored of healthy options, they just don’t take the time to create meals that they “crave.” People think being on a diet means they have to eat bland food. The trick is to come up with meals that you enjoy that are healthy, that way you crave those meals multiple times a week! 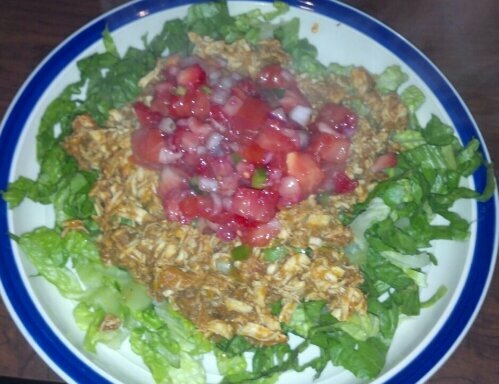 Here is one of my favorite healthy meals! 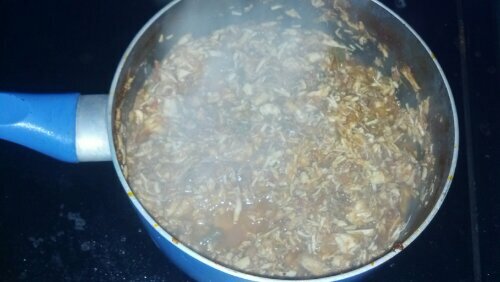 You can really put in whatever seasonings, meats, and veggies you like. 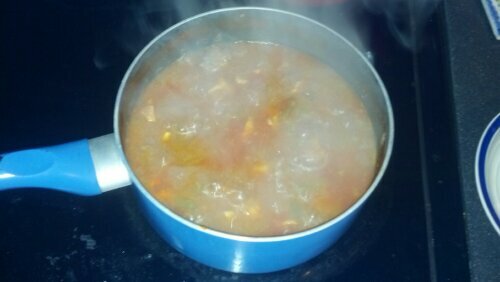 If you like spice, throw in some Jalapeños or other spicy peppers! 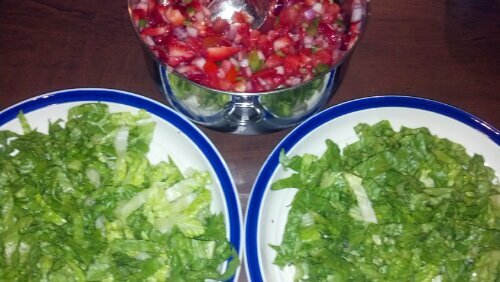 This will take about an hour to cook down, so while you are waiting start chopping up some fresh fruit salsa. I usually dice up 1/2 a sweet onion, a jalapeño, 2 beefsteak tomatoes or 4 roma tomatoes, and whatever fruit looks the freshest. Today I chose to use strawberries. Peaches and Mangoes are other good alternatives. As you can see I also chopped up a good amount of Romaine lettuce. 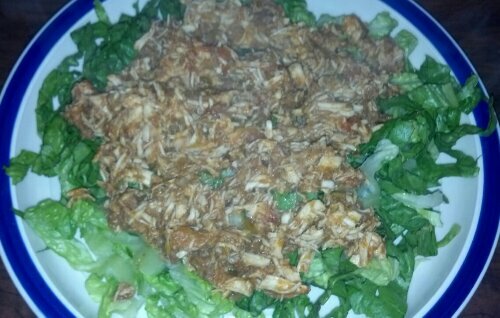 You could choose to serve your meat with taco shells, but if you are watching carbs and working to stay within your ratios; a bed of lettuce is a great way to serve up your meal! In about an hour the liquid will evaporate out, leaving you with soft meat that you can mash with a wooden spoon to make a jerked chicken! 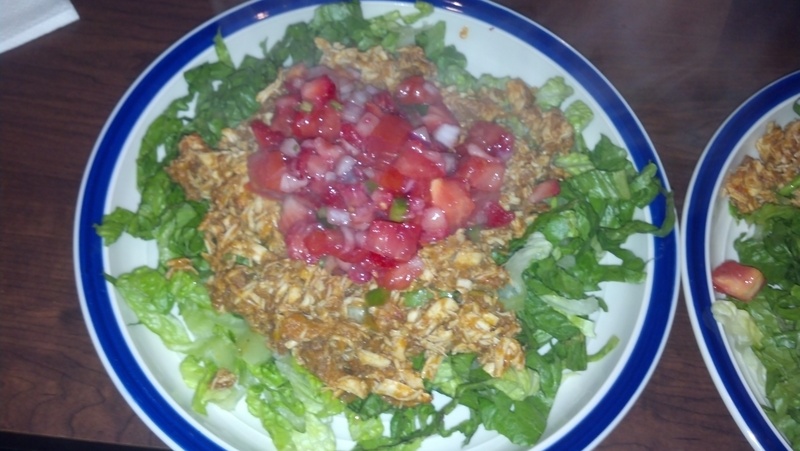 Throw the chicken on top of your lettuce and then salsa on top of your chicken and dinner is served! Even with the beer, this is a 306 Calorie dinner that packs in 30 grams of protein! Now that is a meal I could eat over and over!